Americans pay more for their healthcare costs than nearly every industrialized nation in the world. The Trump administration has its eyes set on lowering prescription drug prices, according to its 2019 budget blueprint, but none of the proposals within the blueprint are solid enough to get at the price. So, it’s hard to say how effective any of it will be. In the meantime, Americans will continue to pay drug prices that dwarf those of other countries. According to a Reuters analysis of American drug spending—we pay as much as seven times more than our friends in the United Kingdom. That’s no surprise, considering the US is only 4.6% of the overall world population, but make up 32% of the world’s drug revenue—and of that, make up 50-70% of the world drug profits. In 2017, a proposed Senate measure to allow Americans to import cheaper medications legally from Canada. Unfortunately, this resolution failed in the Senate 52-46. While technically still not “legal” to import drugs from other countries for personal use, the FDA does not prosecute Americans who import medications for personal use—as long as it’s in small quantities (90 days or less). With all of this in mind, more and more Americans are taking the plunge anyway and getting their prescription medications filled over the Canadian border. Some of the most notable are the popular erectile dysfunction (ED) medications Viagra, Cialis, and Levitra. But the big question always looms: Can you really save money by buying your medications online from Canadian pharmacies? The answer in a nutshell: yes. In recent months, the demand for cheaper ED drugs has been on the rise. These already popular medications have gotten a boost thanks to interesting new developments—such as Viagra’s recent link to possibly reducing the risk of colorectal cancer when used in low dosages. In addition, erectile dysfunction on its own has been found to be a possible early indicator for heart disease. Viagra: we carry the brand name medication and its generic equivalent, sildenafil, in the 25mg, 50mg, and 100mg dosages. Our lowest prices start at $8.31 per tablet for the brand name Viagra (100 mg) from Pfizer New Zealand, and $0.53 per tablet for the generic Sildenafil from Cipla India. Recent pricing from major US retailers have the name brand Viagra listed out at $29-$51 per tablet, just to give you an idea of our price savings. Cialis: we carry the brand name medication and its generic equivalent, tadalafil, in the 2.5mg, 5mg, 10mg, and 20mg dosages. Our best deals start at $3.15 per tablet for the brand name Cialis (5 mg) from Lilly Turkey, and $0.48 per tablet for the generic tadalafil 2.5 mg by Mylan Canada. The average cost of name brand Cialis is currently pricing at $43 per tablet. Levitra: we carry the brand name Levitra and its generic equivalent, vardenafil. Levitra comes in 5mg, 10mg, 20mg. Vardenafil in 20mg. Our cheapest prices start at $6.08 per tablet for the brand name Levitra (20 mg) from Bayer Turkey, and $0.72 per tablet for the generic vardenafil from Ajanta Pharma India. Name brand Levitra can be found with overall average cost at $26.52 per dose in the US. How do these prices compare to what your current costs are? Even with insurance, Canadian Pharmacy World has found our prices are often far more affordable than what a typical American insurance program formulary allows. Especially when you consider the generic equivalents into the equation and our free shipping. Is Generic Viagra, Cialis, or Levitra safe? Speaking of generic equivalent medications, you might be wondering what the difference is and whether or not it’s worth going for the cheaper version. Especially since the price point may seem too good to be true. In this case, the prices are definitely worth it when you’re purchasing from a reputable pharmacy. Generic and bioequivalent medications are just as effective and safe as their original brand name product. The price is driven down thanks to its pioneering product’s previous research. Once a brand name medication’s patent expires, their development and research is open to the public, allowing for generics to be made based on the information. These generic and bioequivalent medications have the same safety, strength, route of administration, quality, intended usages, and performance as their brand name counterparts. And in many cases, they are even produced from their original brand name manufacturers. If getting a brand name medication or its generic equivalent online is appealing to you, it’s important to safeguard yourself before you click the buy button. 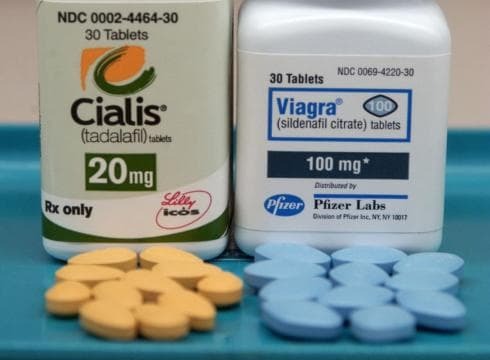 ED medications such as Viagra, Cialis, and Levetra are targets for counterfeiters because they know they’re sought-after drugs. Some counterfeit versions may not only contain incorrect ingredients—they could be potentially dangerous. This is, in part, why the FDA refuses to allow the importation of medications from other countries. It can’t keep track or verify all of the ingredients or processes for every country in the world. However, the medications you get from legally operating, accredited pharmacies in other countries—such as Canada—are the exact same medications you’d be buying in the United States. The key to knowing if you’re buying the medications from reputable Canadian pharmacies online is to check their credentials. Make sure they are certified by the Canadian International Pharmacy Association (CIPA) and have a good standing with PharmacyChecker. These days, stretching your healthcare dollars can be a challenge. Saving money on medications may be one way to get your budget back on track—assuming you take all of the considerations above seriously. If you’re thinking about ordering your ED medications—or any of your prescription medications—online from a Canadian pharmacy, you can be guaranteed it will save you money. Whether you’re looking at the brand name drugs or going with a generic equivalent, remember to order your medications responsibly and only purchase from reputable websites with the credentials and reviews you know you can trust. One last bit of advice: Don’t trust any online pharmacy who doesn’t require you to upload a copy of your doctor’s signed prescription order. Any trusted online pharmacy will need to verify your personal requirements and dosage before sending them to you.